A crash, if confirmed, would likely mark the US -built Boeing 777-200ER airliner's deadliest incident since entering service 19 years ago. A Malaysia Airlines flight carrying 227 passengers and 12 crew went missing over the South China Sea on Saturday, presumed crashed, as ships and planes from countries closest to its flight path scoured a large search area for any wreckage. Vietnamese state media, quoting a senior naval official, had reported that the Boeing 777-200ER flight from Kuala Lumpur to Beijing had crashed off south Vietnam. Malaysia’s transport minister later denied any crash scene had been identified. “We are doing everything in our power to locate the plane. We are doing everything we can to ensure every possible angle has been addressed,” Transport Minister Hishamuddin Hussein told reporters near the Kuala Lumpur International Airport. “We are looking for accurate information from the Malaysian military. They are waiting for information from the Vietnamese side,” he said. Vietnamese Admiral Ngo Van Phat later qualified his earlier remarks about a crash site having been identified and told Reuters he was referring to a presumed location beneath the plane’s flight path, using information supplied by Malaysia. A crash, if confirmed, would likely mark the US -built Boeing 777-200ER airliner’s deadliest incident since entering service 19 years ago. The plane disappeared without giving a distress signal – a chilling echo of an Air France flight that crashed into the South Atlantic on June 1, 2009, killing all 228 people on board. It vanished for hours before wreckage was found. Search and rescue vessels from the Malaysian maritime enforcement agency reached the area where the plane last made contact at about 4.30 p.m. Singapore time (0830 GMT) but saw no immediate sign of wreckage, a Malaysian Maritime Enforcement Agency told Reuters. Flight MH370, operating a Boeing 777-200ER aircraft, last had contact with air traffic controllers 120 nautical miles off the east coast of the Malaysian town of Kota Bharu, Malaysia Airlines chief executive Ahmad Jauhari Yahya said in a statement read to an earlier news conference in Kuala Lumpur. There were no reports of bad weather in the area. 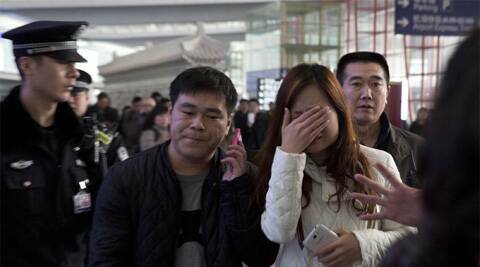 The airline said people from 14 nationalities were among the 227 passengers – at least 152 Chinese, 38 Malaysians, seven Indonesians, six Australians, five Indians, four French and three Americans. A Chinese infant and an American infant were also on board. “The Australian government fears the worst for those aboard missing Malaysia Airlines flight MH370,” a spokeswoman for Australia’s Department of Foreign Affairs and Trade said. Flight tracking website flightaware.com showed the plane flew northeast over Malaysia after takeoff and climbed to an altitude of 35,000 feet. The flight vanished from the website’s tracking records a minute later while it was still climbing. Malaysia and Vietnam were conducting a joint search and rescue operation, while China and the Philippines have sent ships to the South China Sea to help. The Philippines also dispatched a military plane to help in the search. China has also put other ships and aircraft on standby, said Transport Minister Yang Chuantang. Chinese Foreign Minister Wang Yi told reporters in Beijing before the initial Vietnamese report that the plane had crashed that China was “extremely worried” about the fate of the plane and those on board. “The news is very disturbing. 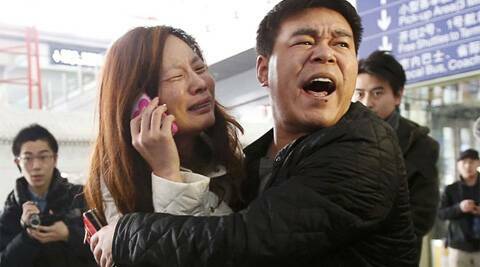 We hope everyone on the plane is safe,” Wang said. The flight was operating as a China Southern Airlines codeshare. 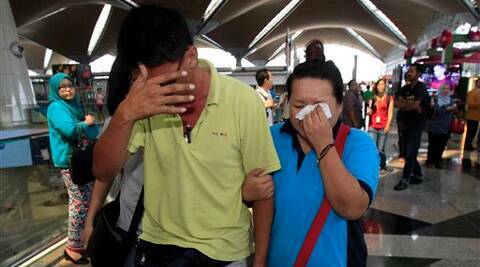 The flight left Kuala Lumpur at 12.21 a.m. (1621 GMT Friday) but no trace had been found of the plane more than eight hours after it was due to land in the Chinese capital at 6.30 a.m. (2230 GMT Friday) the same day. Malaysia Airlines has one of the best safety records among full-service carriers in the Asia-Pacific region. It identified the pilot of MH370 as Captain Zaharie Ahmad Shah, a 53-year-old Malaysian who joined the carrier in 1981 and has 18,365 hours of flight experience. 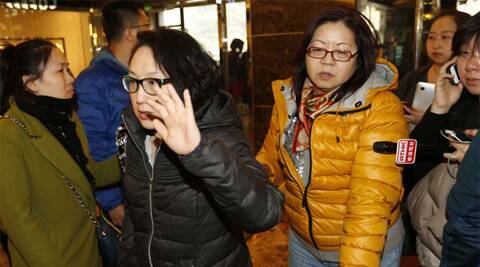 Chinese state media said 24 Chinese artists and family members, who were in Kuala Lumpur for an art exchange programme, were aboard. The Sichuan provincial government said Zhang Jinquan, a well-known calligrapher, was on the flight. If it is confirmed that the plane crashed, the loss would mark the second fatal accident involving a Boeing 777 in less than a year and by far the worst since the jet entered service in 1995. An Asiana Airlines Boeing 777-200ER crash-landed in San Francisco in July 2013, killing three passengers and injuring more than 180. Boeing said it was monitoring the situation but had no further comment. The flight was operating as a China Southern Airlines codeshare. An official at the Civil Aviation Authority of Vietnam said the plane had failed to check in as scheduled at 1721 GMT while it was flying over the sea between Malaysia and Ho Chi Minh city. Boeing, the maker of the Boeing 777 flown by Malaysia Airlines that disappeared over the South China Sea, on Saturday said it was assembling a team of experts to provide technical assistance to investigators. “Boeing is assembling a team to provide technical assistance to investigating authorities,” the Seattle-based company said in a brief statement on its website. “Boeing offers its deepest concern to the families of those aboard missing Malaysia Airlines flight MH370,” the statement added. The Boeing 777 is considered to be one of the most popular and safest jets by aviation experts.